Sculpture portrait created from life subject. Full head life sized sculpture portrait may be created from any live subject using 3D capture technology, or modelled from images. 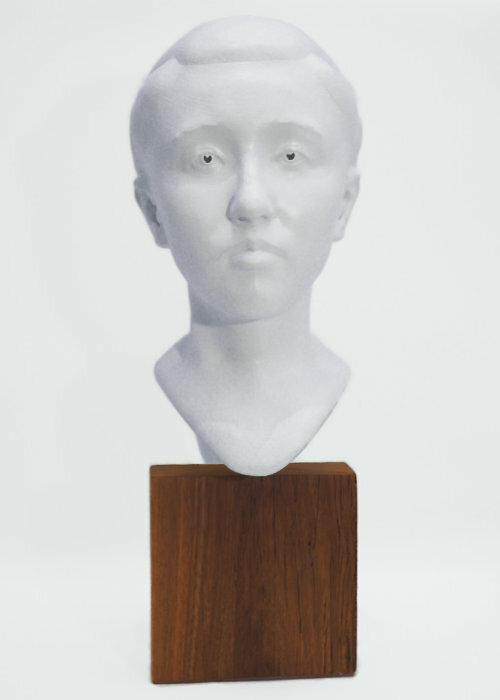 Full head life sized sculpture portrait may be created from any live subject using 3D capture technology.